Your massage therapist will give you a mind-unwinding and ridiculously relaxing full-body massage of your choice designed to loosen you up and target your most troubled muscles. Choose one from four of Bliss's signature massages. Take your happiness to new heights on the 72nd floor, admiring spectacular views of Victoria Harbor and magnificent West Kowloon Architecture. Of course, the best massage in town wouldn’t be complete without a piece of bliss’ very own home-made brownies which go perfectly well with our all-time favorite lemonade to max out your day! You’ll find yourself totally revitalized from head to toe and be ready to face the world again. This Experience is valid for 1 person. This Experience lasts for 75 minutes. Bookings can be made from Monday to Sunday, between 9:00 - 22:00. Bookings must be made at least 2 weeks in advance and are subject to availability. You are recommended to arrive at least 1-hour prior to the experience time to enjoy the heat & water facilities. The Blissage 75 massage at the W hotel was amazing. The masseuse was very professional and made me feel really relaxed. I especially enjoyed using the jacuzzi that looked out into the harbour after my massage. The experience was fantastic as the environment was so nice and relax. My experience was a gift from colleagues on my retirement. How well they know me! This was a perfect gift. An afternoon of relaxation. I love loved lounging in the vitality pool and looking over the city. That was followed with one of the best massages I’ve experienced, but not before I’d sampled the delicious brownies. Super! I got this experience from my son as a birthday gift. Bliss Spa ‘s provides complimentary harbour view vitality pool, aroma steam room and dry sauna before the massage. I enjoy the massage instructor service very much especially the warm foot wrap. Highly recommend their Blissage massage treatment. The massage was lovely and very relaxing. The facilities were clean and the ladies organizing the changing room were very professional. Although I do think the jacuzzi bath could be buffered to look more white and less water stains. Although mentioned on the website as a brownie buffet, the snacks in the ladies loubge were terribly disappointing. A few crackers, cheese blocks and packeted brownies. This was not what I expected after paying so much to visit. The staff were very kind and welcoming - this was great to experience. The massage was fantastic and very relaxing. The staff at the spa were very professional and helpful. However, the photos of the experience shared on the Spoilt website are quite misleading because that is not the view that you see from any of the rooms I had access to, nor is that the snack room that you're taken to. The "legendary Brownie Buffet" is a tray with brownies... Everything is photoshopped and I think it would have been nicer if I knew it was just a massage and some snacks in a waiting room, as opposed to what the website had implied. Staffs were very polite. The facility was clean and spacious. I had a very relax and peaceful moment. The massage was very comfortable and masseur was very good too. Wonderful experience!! The most relaxing spa experience I have ever had in my life. Enjoy the great view while you have your massage! You can enjoy the sauna steam room and the Jacuzzi after your treatment. 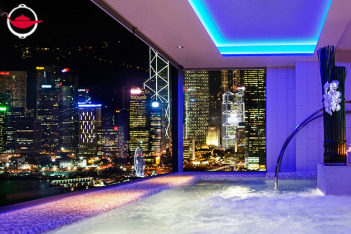 the Jacuzzi was amazing with all those high power bubbles and the great view of HK harbour! The staff was very thoughful as well, all you need has been prepared for you, free water, towels, shampoo and shower gels, everything you need after a good relaxing spa. Enjoyed it! Would come again! The environment is relaxing, staff is nice and good skills. Hope have time to enjoy more. I got the gift from my bf, that surprise and great serves. The staffs very helpful, even i were late a bit by traffic jam. They have gave me the equal time. What masseur had rich experience, comfy. Enjoy the wonder Victoria park nite view with the spa i got the falling relax nite. I very like go there again! 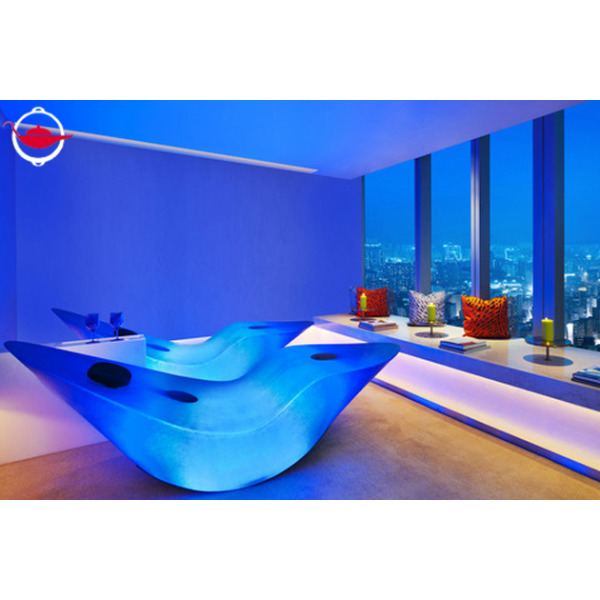 My experience was a gift for my birthday and I felt spoilt in the luxurious surroundings of the W hotel. I thoroughly enjoyed the massage by an experienced therapist and felt relaxed and refreshed. A wonderful afternoon! I got this experience from W Hotel. My favourite part was enjoying the Jacuzzi with spectacular harbour view. The experience was perfect from beginning to end. Thank you! I got this experience from my wife.It was really amazing.The therapist was quite experienced n applied the correct techniques.My body felt much lighter after the massage. It was an exquisite experience with superb facilities and gave full meaning to the definition of feeling"spolit". 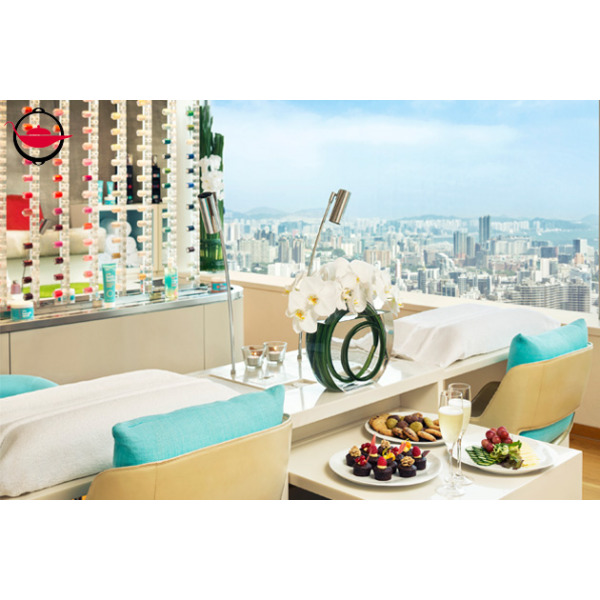 The Spoilt experience was a gift from my good friend, it really surprised me as I never thought of trying spa and massage in luxurious hk hotel. W Bliss was a refreshing place, and evening time on weekdays provided a more private experience. Staff there was nice, bliss products were supreme no doubt. Would really recommend to spare 2.5-3 hrs to enjoy the facilities. Really nice spa treatment. Slightly awkward as it was me and a friend, as opposed to a beautiful lady. That was a perfect & professional spa and massage! Staff was polite. Thanks! It was wonderful! Facilties and service were superb. I have enjoyed a very good & professional massage from your hotel last week on 2-4-16. Wonderful gift from my dearest friend for a bday pamper. Loved it all thanks. A relaxing and great massage. Loved the relaxation room and the view from the Spa was amazing. Lovely staff and great service. Would recommend this spa treatment. A lovely & enjoyable experience, loved it. Enjoyed the Bliss signature massage treatment, environment and facilities are very well, the service is good. Make my relaxing day. Would recommend my friends to join us go again! My sons gave me this as a gift for my 50th birthday. Lovely spa and staff were very friendly and attentive. The voucher was bought by friends. I also went with a friend. We had a lovely, relaxing morning at Bliss spa. Massage was lovely, as was the relaxation room. The therapist is very good and take care of me. She nearly make me fell asleep and it is unforgettable. If the duration is longer it will be perfect. I got this experience from my sister as a birthday present. W has always been one of my fav hotel and the spa massage top it off with a pool 72nd view of Victoria harbour and sauna. The massage was very relaxing on a Friday morning after a week of work, brownie and lemonade ended it sweetly. I had a great time at Bliss W, it's so comfortable and relaxing, and my therapist Pinky is amazing. And then, I also can enjoy the facilities of their jacuzzi and steam room. This experience is very good. I got this experience from my children as my birthday present. The hotel has fabulous view, the Spa facilities is good and the massage is excellent! I have a very enjoyable experience there. Wonderful spa experience! Very lovely staff and facilities. Windows weren't open in the spa room due to window cleaning, but overall very relaxing day. Amazing, apologies too generic! All I can say was when I arrived, the customer service were personable and caring. The session itself was refreshing, rejuvenating and therapeutic. The room set up was both welcoming and relaxing. Excellent view from the resting room. Facilities like jacuzzi, sauna, steam room provide me a wonderful time and I enjoy all very much. However if the spa house can provide an instruction notice on how to use the digital locker, it would be much better for a new comer. Nice Experience! User Friendly Booking System! Very Efficient! I do not need to call the service provider directly to confirm the booking! It saves my time! Excellent view from the resting room. Facilities like jacuzzi, sauna, steam room provide me a wonderful time and I enjoy all very much. However if the spa house can provide an instruction notice on how to use the digital locker, it would be much better for a new comer. Loved the whole experience! This was a birthday gift, and it felt so indulgent. The spa facilities at the W are great, and the massage was amazing! My masseuse was Pinky. She was great. I didn't want it to end! A very good experience - loved having access to the sauna and spa beforehand - great idea. Massage was also great, the best place I've found in Hong Kong.